Welcome back! I hope you had a relaxing and productive Thanksgiving. We are busy this week with after-school concert band sectionals, culminating in a Christmas concert on Friday for all bands. Please note the change on Tuesday!!! Please be aware, we have the Moody Christmas Parade scheduled for Saturday, 12/11/10. We will rehearse for the parade after school on 12/07/10 and 12/09/10 from 3:00 until 4:30 each day. Call time on 12/11/10 is 3:30 at the band room. Buses arrive at ADESA by 4:00, and we'll return to the band room by bus at 6:00 pm. Band boosters will meet Tuesday, 11/16/10 at 6:30 pm. Several important issues will be discussed. Football season may be over, but the band plays on! Please come out and show your support for our band program! Christmas Concert Info-- ALL BANDS!!! Please remember that our Christmas band concert will take place in the Moody High School gym on Friday, December 3 at 7:00 pm. The concert will feature our beginning, intermediate, and high school concert bands. This performance serves as the final exam for all band students and is required. Concert dress for all students should consist of nice dress clothes. Concert black is not necessary, but festive holiday colors will be welcome. No uniforms. All large equipment (including tubas), chairs, stands, and podium will be loaded during 4th block/7th period on 12/3. Students will be dismissed from school at 3:00 pm. Set-up crew should arrive at the gym no later than 5:30. All students should report to the MHS gym at 6:00 pm for roll call and warm-up in concert dress with instruments and music. The band room will be locked at 5:00 for equipment transport and will not be unlocked until after the concert. Please retrieve any items from the band room by 5:00. Each band will be assigned a seating area in the gym. Bands will be called to perform in turn-- beginning, intermediate, and concert. Chaperones: to sit with each band in the bleachers while the band is waiting to warm up or perform. Set-Up/Take-Down Crew: to help unload equipment at 5:30, set up the performance area, and to reload and unload at the band room following the concert. Sound System: Access to a powered sound system would be appreciated. Only one microphone for announcements is needed. Programs: A volunteer to design and print the programs. If you have access to high quality (better than the band room copier) printing equipment and are willing to help, please let me know. Audio Recording/Videographer: I would like to use a few scenes from our concert in a promotional video to help build our band program. If you have the skills, equipment, and interest, please let me know. Decorators: If anyone would like to provide some holiday decorations or flowers for our concert set-up, please let me know. This would add a positive element to the appearance of the bands. Any items used must be installed no earlier than 5:30 pm on 12/3 and will need to be removed after the concert. Marketing/Concert Promotion: Please tell everyone about our concert. If you have an interest in creating posters or flyers, let's collaborate-- soon! Can you think of anything else? Do you have a question? Please let me know at brad.sargent@sccboe.org or leave a message at 640-1995. I look forward to seeing everyone at our concert! 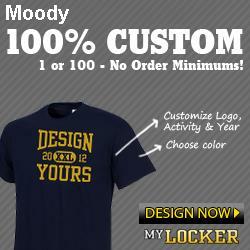 A letter has been placed in the Moody Blue Devils Yahoo Group files. Please print the letter, indicate your level of commitment to a 2011 spring trip, and return to the band room by tomorrow, Wednesday, 11/10/10. Hard copies of the letter are available in the band room. Remember: Christmas Concert, Friday, 12/3/10, 7:00 pm, MHS gym!!!! !